Teamwork can sometimes really pay off. So a joint venture with another company in Japan may be an excellent opportunity to grow your own business without the complexities of making an outright purchase of another company. In Japan, a joint venture is the structure permitted under Japanese Law that enables Japanese and foreign companies to combine their knowledge and resources to work as a single team. The joint venture gives partners the opportunity to leverage each other’s strengths while compensating for any weaknesses. In one type of joint venture, both parties enjoy the benefits of remaining as independent businesses and choose to enter into a contractual agreement only to collaborate in a limited way over a pre-determined time span. The other option is to create a separate joint venture company in order to complete a specific project or contract. In this option, both British and Japanese partners own shares of the company and direct its management. 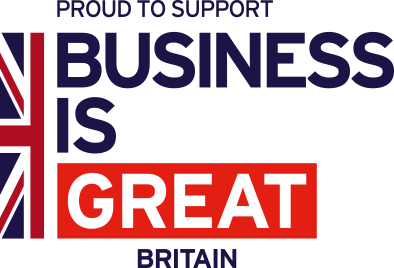 Established UK businesses may identify opportunities to enter the Japanese market through joint ventures. However, the success of a joint venture depends on a well-planned strategy, strong partners, equal contribution, effective execution of the agreement, and fast and efficient integration of work processes. This involves commitment and respect for the other company’s work culture and a clear understanding of each one’s responsibilities and accountabilities in the partnership. We encourage UK companies considering entering a joint venture in Japan to seek external advice at an early stage. Shared exposure to risks, financial responsibility and workload. An advantageous joint venture is one in which the strengths and weaknesses of one partner complements those of the other partner. Making poor tactical decisions caused by a misunderstanding of the roles of each company. Building a successful joint venture with Japanese partners can be challenging. It requires time, commitment and effort from both involved parties. Before entering into a joint venture, both partners must have a clear understanding of the objective of collaboration. This understanding must be translated into a simple written agreement that defines each partner’s accountabilities in the joint venture. Evaluating the strengths and weaknesses of the Japanese partner company and your own can help in building on each other’s strengths. Building a strong alliance with the right partner can result in fast growth of the business and profitability. Proper due diligence is critical: you should engage experienced external advisers who are able to advise on the legal risks associated with undertaking a proposed transaction in Japan. Navigating Japanese law and legal documents, as well as Japanese language, without the help of experienced advisers is risky. Negotiation and execution: negotiating and executing a deal in Japan often takes longer than in the UK, but, once a Japanese counterpart agrees to do a deal, it will generally stick to its word. Legal documents can be negotiated in English, although it is not uncommon for bilingual or Japanese-language only documents to be used. Integration: integrating a newly acquired Japanese business or newly founded Japanese joint venture into a UK company’s global business can be complicated by unique legal and cultural considerations, such as corporate governance and internal control structures. You should assume integration will be a long and occasionally painful process. Review this report, “International Joint Ventures, a Practical Approach,” (PDF) for additional insights on structuring international ventures (not Japan specific). For a more comprehensive overview of joint ventures, read this McKinsey report, which provides more details on best practices for avoiding potential pitfalls.